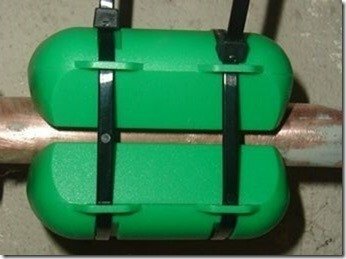 Lime breaker water descaler – Copper waterpipes with all hardness levels. The Lime Breaker water descaler, deminish limescale effortlessly! 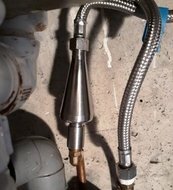 We known the watervitalizer for the whole house also remove limescale in waterpipes and this results also into less scale in the shower, on tiles, appliances and pipes. A combination of the Lime Breaker water descaler and a vitalizer, or two vitalizer's (of which one can be small and the other one large), however, gives a clear additional reduction of lime scale. The effectiveness depends on the hardness of the water. The water descaler breaks, layer by layer, the old- already existing – lime scale in the water pipes until it finally disappears in fine powder form without causing any clogging. There will be less lime scale on tiles, pipes, bath tubs and devices. The devices, pipes and (heat) elements will be cleaner and remain almost entirely free of sedimentation. Make contact with us for information about your water hardness, related to the effectiveness of the Lime Breaker water descaler. 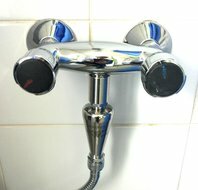 The combination of a water descaler with a small vitalizer for on the faucet under the sink or in the shower makes for a good improvement of the water quality. The descaler makes the water extra soft and lets the minerals (including the lime) dissolve. Afterwards the vitalizer brings the water in a harmonic vibration, and forms a vital water structure that contributes to a healthier body. You will get, on this professional water descaler, a 4 months not satisfied money back guarantee, and 25 year manufacturer's warranty on the functioning. Assembly is usually simple and can almost always be done without sawing, crushing and/or woodwork in the meter cupboard, basement or utility room. 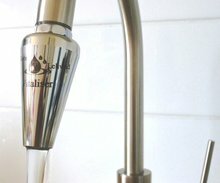 De watervitaliser had ik als eerste op de keukenkraan aangesloten, al voordat de kalkbreker gemonteerd was, en dat gaf direct veranderd water. Het water is zachter van smaak, verfijnder, stroomt anders de kraan uit. Ik vind het nu fijner om water te drinken; voorheen deed ik het wel, maar niet van harte, wetende en voelende dat het niet optimaal was. Elke slok water drink ik bewust, wetende dat ik zuivere kristallen tot mij neem. Het is veel fijner om te koken, thee te zetten met dit mooie water! Ik heb ook gemerkt dat in kopjes minder aanslag achterblijft, bijvoorbeeld van koffie, en het is gemakkelijk schoon te spoelen; het hecht niet zo vast. Ik constateer dat de kalk enorm afneemt. 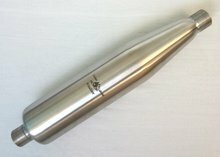 Ik zie geen/uiterst minimale kalkafzetting op de waterkoker of op de kraan in de douche.